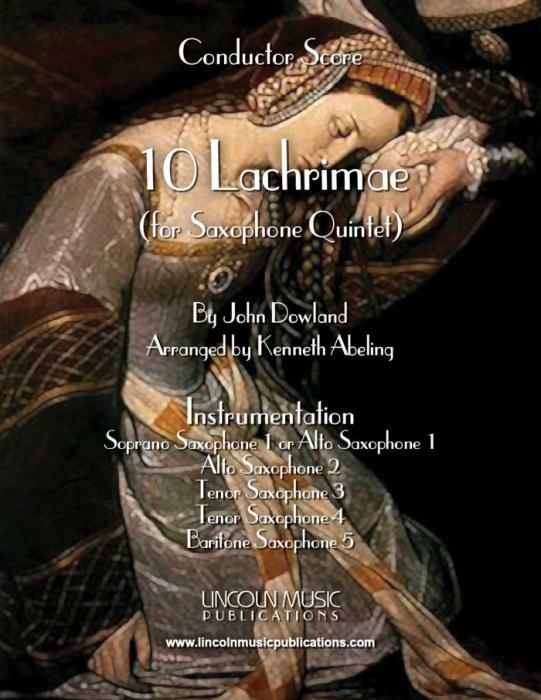 10 Lachrimae by John Dowland Transcribed for Saxophone Quintet by Kenneth Abeling. These beautiful melodies are suitable for general performance, worship services, Weddings, Funerals and as warmup exercises that actually have five independent voices. Both intermediate to professional level ensembles will find value in this collection. 10 Lachrimae by John Dowland Transcribed for Woodwind Quintet by Kenneth Abeling. These beautiful melodies are suitable for general performance, worship services, Weddings, Funerals and as warmup exercises that actually have five independent voices. Both intermediate to professional level ensembles will find value in this collection.